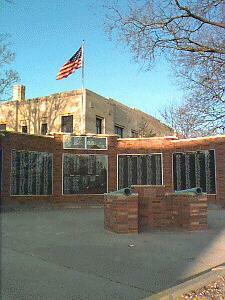 The Gladwin County Office of Veterans Affairs is a non-profit office supported by Gladwin County. This office has provided Gladwin County veterans and their families with professional veterans benefit advocacy and support for over 50 years. Our office is accredited by the State of Michigan and the Department of Veterans Affairs. We are also supported by all Veteran Service Organizations. Our mission is to assist Veterans and their families obtain local, state and federal benefits. We help them discover the benefits to which they are entitled and assist them with the application process. We are committed to provide quality service and advocacy for our veterans and their families. – Parent who lost a son or daughter in military service. MakeTheConnection.net connects Veterans, their family members and friends, and other advocates with mental health information, local resources, and inspiring stories of recovery. Visitors can find reliable information on how to cope with challenges such as post traumatic stress disorder (PTSD), traumatic brain injury, military sexual trauma, and transitioning from service. The site is free and accessible to everyone. Many other Veterans resources and information. ALL SERVICES ARE FREE OF CHARGE: YOU’VE ALREADY PAID FOR OUR LIBERTY!